NEW YORK CITY, NY and PALO ALTO, CA--(Marketwired - October 06, 2015) - Datagres, a leading provider of Application I/O Intelligence, today announced general availability of its PerfAccel solution for Couchbase Server, the highest performing NoSQL distributed database platform. The combination of PerfAccel and Couchbase Server empower database administrators and DevOps to understand real-time data movements and fine-tune their dynamic data distribution rules for the entire database grid. Datagres is attending Couchbase Live New York today where it is demonstrating PerfAccel and its integration with Couchbase Server. PerfAccel uses deep operational intelligence of Couchbase I/O patterns to help design, deploy and perform for large-scale environments. It helps databases leverage deep I/O analytics to balance customers' requirement for high performance media and more persistent and cost-effective capacity storage. The partnership coincides with the release of Couchbase Server 4.0, a new release that enables developers to build a much broader variety of web, mobile and IoT applications on Couchbase. The release delivers new levels of developer agility, enterprise application scalability and performance, and business insight from data stored in Couchbase. "Increased adoption and scaling of Couchbase in global companies has created a need for advanced storage solutions," said Rod Hamlin, Vice President of Business Development, Couchbase. "With their deep understanding of storage analytics, Datagres gives our customers the flexibility to deploy cost-effective hardware platforms that meet their specific applications and requirements." "Enterprise customers constantly have to choose between cost and performance," said Ranajit Nevatia, President and CEO of Datagres. "The Datagres PerfAccel solution for Couchbase makes it easier for customers to understand their application requirements and scale for performance while reducing their infrastructure costs." Proactive distribution of active dataset close to the CPU while maintaining the entire database on cheaper capacity storage. PerfAccel for Couchbase is now available. For more information, visit http://www.datagres.com, read the solution brief, or download the whitepaper. Datagres provides software that helps companies visualize, control and accelerate their application performance using deep file-level storage intelligence. PerfAccel is a dynamic and intelligent grid scale management and acceleration solution for active data. 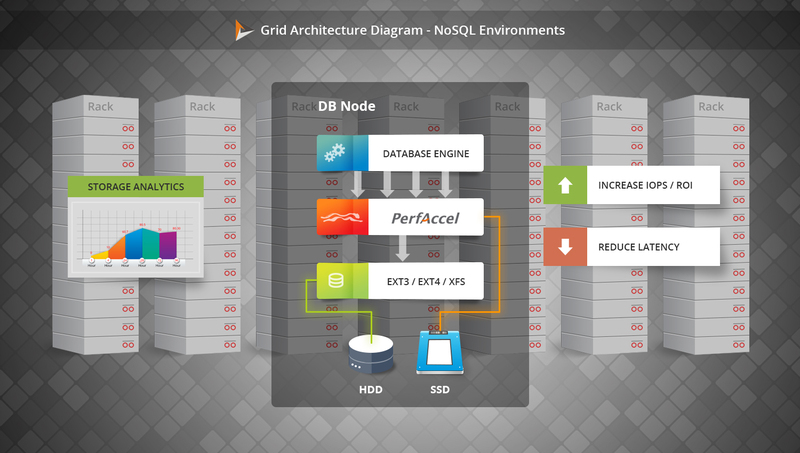 Through powerful analytics and reporting tools, PerfAccel executes smart, server side data processing for storage I/O offload and application acceleration. With PerfAccel, organizations can accelerate applications, scale, and manage IOPS across entire grids through a single pane of glass and get the most from their existing storage infrastructure. Datagres is headquartered in Palo Alto, CA and has received funding from Nexus Venture Partners. For more information, visit http://www.datagres.com. About this company Datagres Technologies Inc.